If this is what level 11 looks like, I am not sure I want to see levels 1 through 10 much less 12 and beyond. 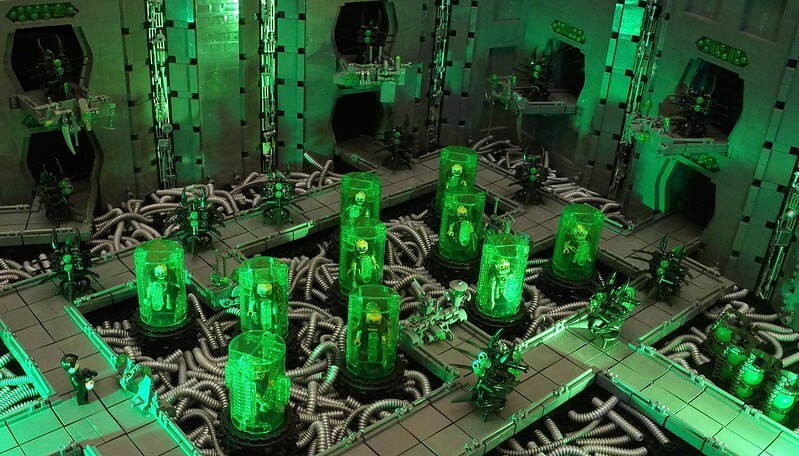 I mean seriously, what is going on with the pulsating lumps of techno-worms and why are those people in green ooze tanks, guarded by creepy looking alien-things? Perhaps it is best to ask creator Bart De Dobbelaer or read the comic this is based on, Nemesis - Level11.